Are you the type of "packer" that starts your packing for a trip or vacation days in advance or do you start your packing at the last minute? Personally...I start 2 weeks in advance as I like to be organized and I like to make sure I pack everything I think we "might" need. Often times when I speak to others about their packing habits many people tell me they are last minute packers and usually start the day before! Many of these folks just take things out of their drawers and closets and throw them into a suitcase and out the door they go. The bad thing about this is that when you arrive at your destination your items in your suitcase are a wrinkled mess and/or you realize you forgot to pack some important things that you need. Then you have to scour an unfamiliar area to purchase the items you forgot or you have to pay a laundering or hotel service to wash, dry and iron your clothing. ___ Seasonal Clothing for ___ amount of days. ___ Non-Seasonal Clothing for 1 day. (just incase the weather changes). ___ Outerwear (coats, jackets, sweaters, hats, gloves, scarves...depending on destination). ___ Snacks and Beverages for the Family. ___ Empty Tote Bags, 1 Empty Duffle Bag, 1 Empty Wet/Dry Bag (these can be used to bring wet clothing/towels home or to carry souvenirs back home). You can tailor my above list to suit your own family's needs or according to your vacation/trip destination. 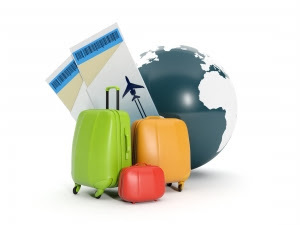 Getting yourself organized and starting your packing 2 weeks in advance saves you a lot of time, stress and money once you arrive at your vacation destination. Prepare your packing ahead of time and enjoy your family's vacation time together.